Smithsonian Institution/Carnegie Institution of Washington. The innermost planet is continuing to provide scientists with new, unexpected revelations. Of primary concern to researchers studying the planets is the question, "How did those planets come to be as we find them?" Perhaps the secondary question is, "Are the causal forces that created them continuing to act today?" For most scientists investigating the issues, those questions are answered in similar ways. Cosmogony is explained by gravity and the compression of hot gas and dust. A primordial nebular cloud consisting of various mineral grains and gaseous combinations began to slowly draw itself together because an external influence initiated a change in its dynamic equilibrium. That influence might have been the shock wave from a supernova explosion or the close passage of another object with sufficient gravitational attraction. Whatever it was, the minute particles within the nebula were moved to join into larger and larger clumps that eventually contracted to a point where they began to burn with fusion fires and form a new star. Around that newly born star, an "accretion disk" formed eddies where more of the remnant material condensed, slowly accumulating mass until molten planetary lumps or giant conglomerations of gas came into being. Continuous surface bombardment from other nebular condensates on the rocky proto-planets formed craters of all sizes, added water, formed a variety of atmospheres, and created the conditions that caused the Solar System to become what it is today. Many of the planets and moons—because they lack the eroding action of weather, or are at temperatures near absolute zero—remain as they were when the last of that bombardment occurred. Earth's Moon, for instance, is said to have existed for untold millions of years with its surface features little different today than they were in that remote natal epoch. Its craters, rilles, and mountains are preserved in a practical freeze-dried vacuum. Specialists in planetary evolution are satisfied that asteroids are no longer impacting members of the Solar System with the same frequency as they did in the beginning. The Sun has not changed its radiant output by any extreme measure since its steady illumination began, and its family of planets and moons have been in their orbital tracks without anything more than minor fluctuations for billions of years. It is a mature, quiet, and stable congregation, without any untoward events other than the occasional meteor shower or cometary passage. It is not an illogical theory, despite its age. Given uniformitarian parameters and the gradual decrease in cataclysmic reformation as the nebular cloud was swept up by the planets, especially the gas giants, it stands to reason that what we see today is a museum piece from the deep past. Planets might have "captured" other planetesimals, thus acquiring new moons, or some moons might have been destroyed when they strayed too close to a powerful neighbor, but most are where they have always been. Erosion on Earth has changed its geological features, but the same mountains and oceans are still here—in different places and with different forms, but mountains are still mountains and oceans are still watery repositories. In order to construct an alternate theory of the Solar System, especially a new theory of planetary evolution, it is necessary to first assume different engines of change and a more rapid morphology. 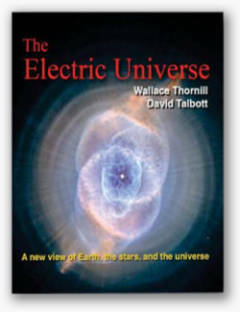 The theories put forth by Electric Universe physicists are couched in those unique assumptions. At the outset it must be made clear that catastrophic evolution cannot be merged with gradualism. If the Solar System is a four-billion-year-old antique, then there is no way for a hypothesis that calls for recent restructuring to coexist. A new way of seeing the Universe must first be adopted. That new way of seeing has elicited hundreds of Picture of the Day articles dealing with the Solar System. 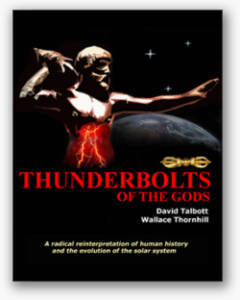 Catastrophic encounters, changing orbital relationships, gigantic clouds of electrified plasma carving planets like hot knives, and atmospheric exchanges between worlds are theorized to have taken place, the last episode occurring in the recent past. The exact time is almost impossible to determine, but it is most likely to have been within the last 10,000 years—well within the historical memory of humanity. How does the Electric Universe hypothesis account for the volumes of information returned by missions such as MESSENGER? Previous Picture of the Day articles have described some of the features on Mercury as electrical in nature. They are similar to those found on Mars, as well as the Moon. Bright rays extend outward from several large craters on Mercury, similar to those seen around Tycho Crater on the Moon. 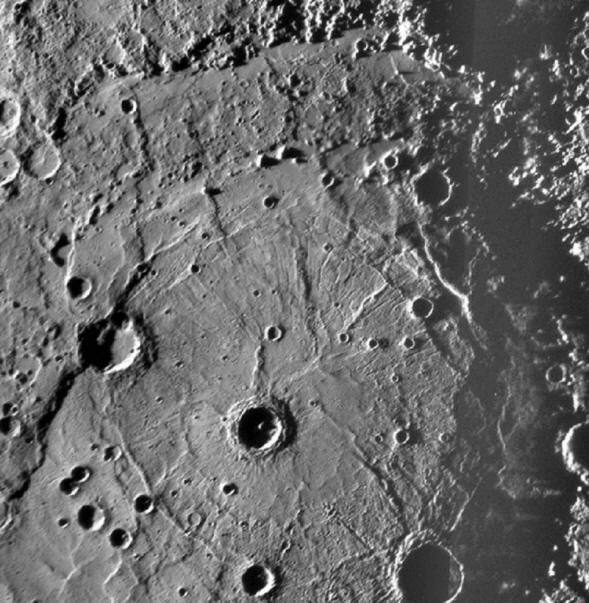 Based on a discussion of that structure by the late Ralph Juergens, we concluded that rayed craters on Mercury are not the result of explosive ejecta, but are the signs of a powerful electric current dragging loose rocks and dust toward the center of a discharge region where a bolt of electricity leaped upward to space. This opinion is diametrically opposed to consensus opinions about their formation. Multiple concentric rings are found on Mercury, just as on several other celestial bodies. When electricity passed through them it eroded material from the surface where the arc touched down. The pits or craters left by electric arcs are usually circular because the electric forces constrain the arc to strike at a right angle to the surface. An electric arc is composed of two (or more) filaments rotating around a common center, so the surface was excavated by a plasma "drill bit," leaving steep sides and a “pinched up” rim of debris. 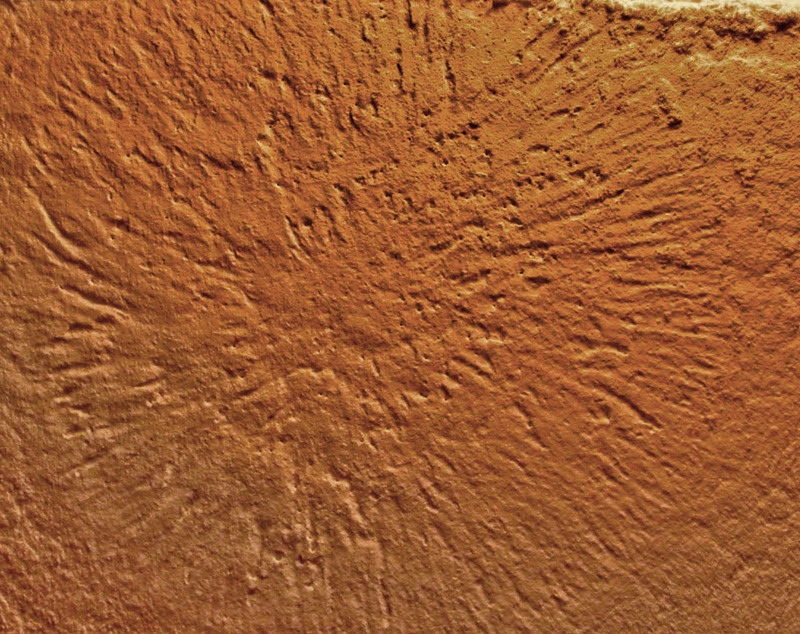 If several filaments were involved, the plasma beams would have cut one crater within another, often with one or more smaller craters on the rims. Rembrandt Basin exhibits those characteristics. Another example of electrical effects in Rembrandt is the etched furrows radiating outward from the center. 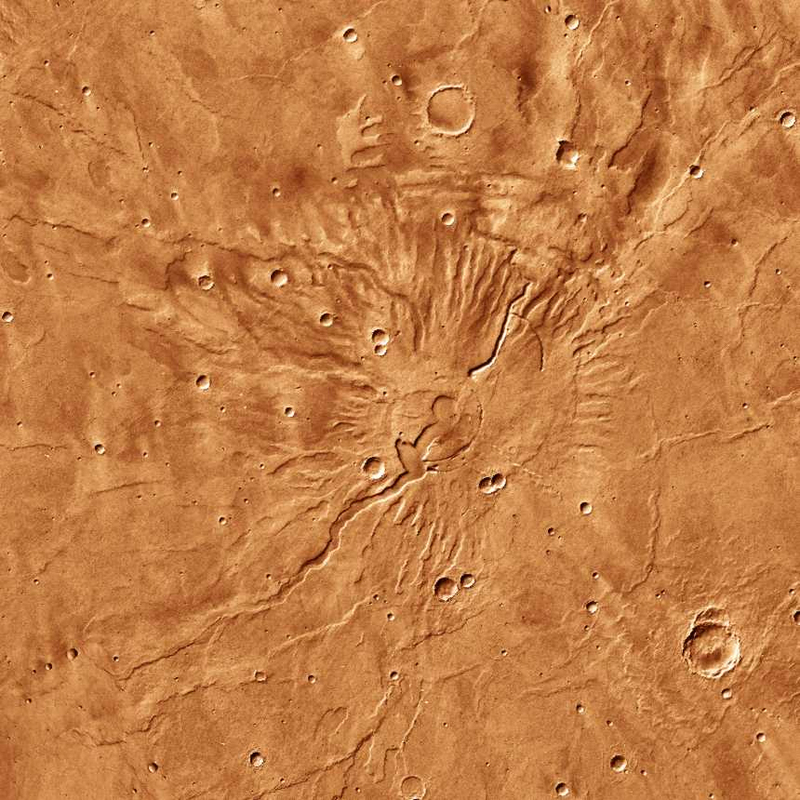 Earlier images of Caloris Basin show the same kind of etching. In 2007, Dr. C. J. Ransom performed an experiment at Vemasat Laboratories in Fort Worth, Texas. He exposed a thin layer of magnesium silicate to a 120 milliamp, 12,000 volt discharge for five seconds. In that short period, he produced radial gouges in the substrate similar to what has been found on Mercury. Dr. Ransom's experiments serve to demonstrate the scalability of electrical activity. There are more examples from MESSENGER that reveal Mercury's catastrophic past. The spacecraft has flown by the blazing hot planet twice now, with one more flyby scheduled for September 2009, before settling into orbit on March 18, 2011. 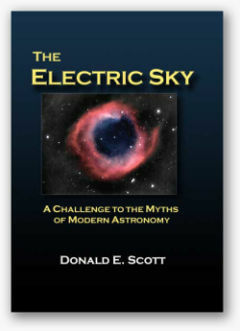 It is certain that additional evidence supporting the new Electric Universe paradigm will come to light.